After the Island Hopping, we had our dinner prepared by Kuya Henry and his crew. We got this fresh crabs from Cotivas Island earlier when we explore the different islands. Seafood has always been my comfort zone when it comes to food. I can actually live eating crabs, shrimps etc for Breakfast, Lunch and Dinner. CRABS, CRABS AND MORE CRABS! Its past 10 in the evening when we dozed off. It was a tiring and exhausting yet very fulfilling day. I couldn't imagine actually reaching Caramoan islands. I have heard about this place so much and I thought this will just be a dream. We stayed in Paniman Inn overnight. We paid 300/per person for a fan room with toilet and bathroom. Not bad for the price. 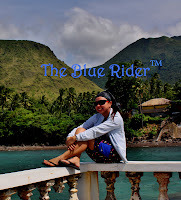 It’s located in Brgy Paniman and just few meters from the shore, roughly 30 minutes ride from the port of Caramoan. It’s quite surprising for accommodations like this that when we woke up, we have hot water for coffee or chocolate. Kuya Henry is very accommodating too, we had our crabs cooked in his house and even volunteered to cook rice for us for dinner plus bought us drinks too. If you wanted to visit Caramoan, I highly recommend to stay in Paniman Inn and get the services of Kuya Henry. You may reach him at 09074351962. We rented his boat for our Island Hopping at Php 3000.00 which would usually cost Php 3800.00. Thumbs up to the great foods served in Molino Grill at SM City Naga, especially Pinangat. I never imagined i can eat it that food, I don't just like it, I loved it. The taste of the “Gata” (coconut milk) is just simply irresistible. The Sinigang as well was perfectly prepared for my taste buds. I agree, Naga is a food haven. Now it’s time to gear up for a more adventurous afternoon in CWC. I am looking forward to three things: Sight Seeing in CWC, Wakeboarding and eat Laing Pizza.